The executive who steered Deluxe Entertainment through a wholesale digital transition is plotting his next moves. After a remarkable 24-year career with Deluxe Entertainment Services Group, Cyril Drabinsky has struck out on his own. Drabinsky stepped down as vice chair at the postproduction and digital giant at the end of June. 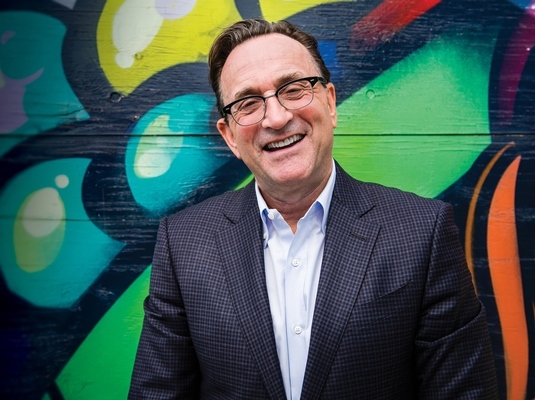 While shy on specifics, he explains he is segueing into consulting and is interested in helping launch new, smaller-scale ventures, whether inside or outside the industry to which he’s been dedicated since the 1980s. “It was my choice and the timing’s right to change things up in my life,” Drabinsky, 59, says over an oatmeal, berries and bagel breakfast at Toronto’s historic Senator Restaurant. He assumed the vice-chair role in 2014 after 14 years as Deluxe’s global president, the last eight of which also as CEO. While he ceded some responsibility, his strong relationships with the studios were called upon to close some major deals. These include a semi-exclusive agreement for Deluxe to be Warner Bros.’ main service provider from post through to home entertainment, and a similar post-services deal with Sony. Deluxe also purchased Sony’s Colorworks digital intermediate (DI) facility in Culver City, California. His tenure was marked by aggressive growth and Deluxe’s complete transition from a film-based company to a digital one. Deluxe says it currently employs 7,000 staff at more than 60 locations on four continents. The writing was on the wall as far back as 1993, when Drabinsky relocated from his Toronto hometown to Los Angeles to run Deluxe’s North American operations. The digital revolution was coming, but the focus of the company – launched in 1915 by William Fox, founder of the Fox Film Corporation – remained on its film-processing and release-print businesses. It had to be, as film exhibitors continued to grow dramatically. “We had to bet on how long the film-lab business was going to last, because we had to expand our capacity to produce release prints for our customers around the world. So we grew our facilities in Los Angeles, Toronto, Rome and London. It proved to be the right bet, because we had another dozen or more years in that business,” Drabinsky recalls. But the company also had to keep its eyes on the road ahead. In 2002 it bought a 20% stake in EFilm, taking over the remaining 80% from Panavision two years later. The digital post house’s primary services include DI, whereby material shot on film (and, years later, digitally captured content) is color- and look-enhanced in the digital domain. The industry took note of what the approach could bear after Cinesite’s DI work on the 2000 feature O Brother, Where Art Thou? “We started forming these new platforms that were critical for Deluxe’s success and positioned it for what it is today. It was important to invest in the future. You’re never 100% right in your decisions, but for the most part we made the right investments,” Drabinsky reflects. And so the company was on firm ground when the nail went into the coffin of its motion-picture business with the 2014 closure of Film Lab New York, a co-venture with rival Technicolor. But if Drabinsky displayed remarkable industry foresight, he never could have predicted his career trajectory. After a couple of years studying commerce and finance at the University of Toronto, he went west – not for the last time – to the University of Windsor, where he earned his Doctor of Law. He returned to Toronto in 1981 to work at Cineplex, joining older brother and company cofounder Garth. Cineplex expanded three years later with the purchase of Odeon’s Canadian cinemas. The movie business seemed a natural destination for the younger Drabinsky, a self-described film lover whose favourites includes Back to the Future, Cinema Paradiso and Raiders of the Lost Ark. 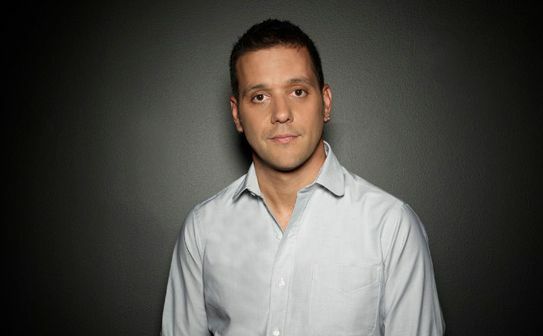 He worked in business affairs and ran Cineplex’s home-entertainment group before being promoted to SVP of distribution. And then came The Call. He recalls MCA/Universal – then a 49% owner in Cineplex Odeon – falling out with Technicolor, its release-print provider, and William Soady, Universal’s distribution president, phoning him up. “He said, ‘Why don’t you guys find a lab in Toronto and we’ll send some work out there?’” Drabinsky recalls. And so in 1986 he was involved in Cineplex Odeon’s $15 million acquisition of Film House, a processing and post house in operation since 1965. He served as Cineplex’s liaison with the new division, and when its operator Doug Macdonald retired in 1987, Drabinsky took over as its president. It greatly increased its lab capacity and opened a new post facility. In 1989, Cineplex sold off Film House to U.K. conglomerate the Rank Organisation, which also purchased Deluxe, six years later rebranding Film House as Deluxe Toronto. 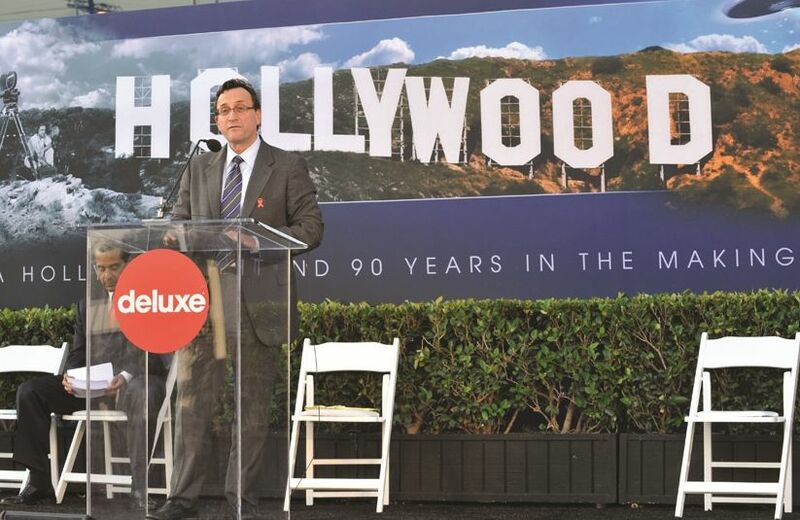 In 1993, Rank invited Drabinsky down to Hollywood to lead Deluxe’s North American operations. What he learned was that previous owners Fox hadn’t invested much in its lab business. “We had to buy equipment and bring in new staff and management. We had to be on better footing relative to Technicolor, which had most of the business. Slowly but surely we acquired more film accounts and built a tremendous trust and service factor with our customers,” Drabinsky says. In 2006, billionaire Ronald Perelman’s MacAndrews & Forbes holding company purchased Deluxe for US$750 million, at which time Drabinsky became CEO. In 2011, with digital movie production and distribution in full swing, a deal was struck whereby Deluxe and Technicolor subcontracted aspects of their film businesses to each other. Technicolor subcontracted its 35mm bulk release-printing business to Deluxe in North America and Europe. Drabinsky estimates that Deluxe went from a 15% release-printing market share when he started to virtually all of it by the end, which he calls “a tribute to the whole organization.” And what role did his leadership play? “I guess I had something to do with it,” he says with a laugh. He leaves the company as a strictly digital concern, making sure that wherever the market leads, Deluxe will be there. Case in point is its Deluxe VR division that launched at NAB 2016 and which offers end-to-end production and post services for virtual-reality content. Drabinsky is known in the industry as a dealmaker. He’s also considered a trusted friend to people in high places. He’s a board member at equipment supplier William F. White International, and has known WFW chair and CEO Paul Bronfman since 1985, when they had business dealings – Drabinsky at Cineplex Odeon and Bronfman at Bellevue Home Entertainment. They struck up a friendship and three years later bonded during an arts-and-entertainment-themed mission to Israel for the United Jewish Appeal Federation. For Drabinsky, it is a time to both look back and ahead. Playback’s Canadian Film and Television Hall of Fame was founded in 2007 to recognize extraordinary achievements in the Canadian entertainment industry. Inductees are selected annually by an advisory board of their peers. After a remarkable 24-year career with Deluxe Entertainment Services Group, Cyril Drabinsky has struck out on his own. He assumed the vice-chair role in 2014 after 14 years as Deluxe's global president, the last eight of which also as CEO.